The home away from home for athletes. Studies have proven that home-team’s advantage is a real thing. Form by Hilton has taken initiative to develop a new hotel brand concept that centralizes around the athlete's need for a sanctuary to properly prepare, maintain and restore their minds and bodies during their time on the road. Travel & hospitality brands have yet to claim the "athlete traveler." Sleep is the most important way of preparing, maintaining and recovering your body both physically and mentally as an athlete (or anyone for that matter). Yet no brand has taken ownership of this responsibility and given athletes the proper dwelling for optimal performance. Hilton differentiates itself as a brand by delivering exceptional guest experiences and introducing innovative services. They continue to be forward-thinking and expand their global footprint. Hilton Worldwide spans the lodging sector from luxury full-service hotels and resorts to extended-stay suites, mid-priced hotels and timeshare properties. Each one is distinctive and recognized for excellence across all segments of hospitality. Currently Hilton has 14 brands in its portfolio. In the near future, they are looking to add 3-4 more. Each brand delivers a very distinct guest experience. While Marriott has 30 brands in its portfolio with wholly undifferentiated experiences, Hilton creates “pure-bred” brands that cater to a specific guest in mind. Form by Hilton targets three high-potential guest types that together make up a viable and valuable niche market for the brand. Their sport is their job. Whether it’s college, semi-pro, or professional- they’re there for business and desire a space to support their needs: To properly rest, relax and recover. Leverage these athletes as leaders or beacons to promote the benefits of their daily habits as a lifestyle everyone should adhere to. Active by nature. Accustomed to being around athletic individuals. Whether they're a former athelte and/or involved in an alternative sport lifestyle, they're Looking for a place to stay where they don’t “drop off.” These guests enjoy a routine and staying on top of their overall state of health and wellness. They're all about trying something new. For them it's about unique aesthetic and appreciation for design, a new variety of amenities, and learning from different people and their lifestyles. These guests are drawn to the exclusivity or prestige that the hotel represents. Selecting top college saturated cities & Professional metropolitan areas. Give guests exactly what they need and nothing that they don’t. The purpose is to simply remove the friction as they move through each of these phases. 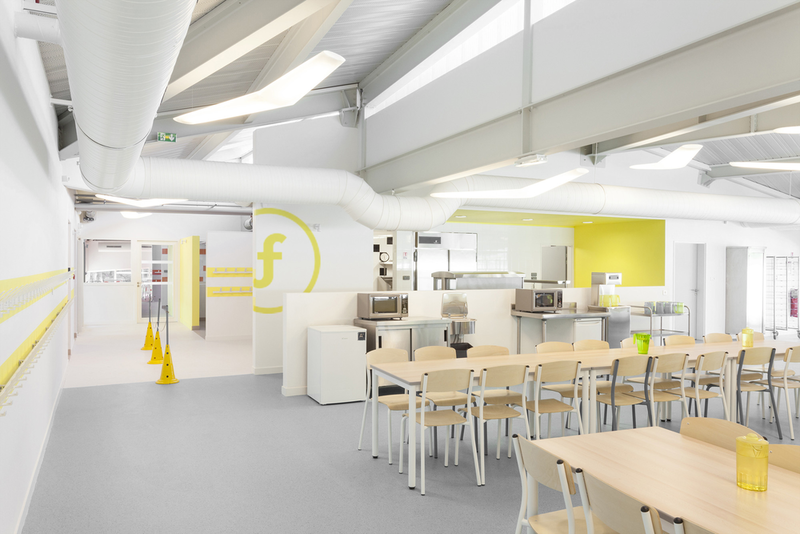 We’ll do this by providing customized tools, nutrition, services and spaces. The manager. The coach. The player. The individual. This app has a use for everyone at Form. Upon making a reservation, a code will be sent with your confirmation receipt. This code gives the guest exclusive access to the Form app community. This connectivity doesn’t just provide a platform among one’s teammates. It also allows for the Form employees to work within their tight schedule. Suggested activities: Curated workouts, stretches, & meditations to do while at the given hotel. WHAT DOES THIS DO FOR HILTON? Form is an important means of expanding the existing loyalty program by offering a unique experience guests will want to come back to and an ecosystem of digital services that can hook them in to the program. Besides giving athletic-minded individuals an easier way to balance their ambitions with their travel schedules through the hotel’s amenities, the app experience and digital ecosystem can become a stable and reliable part of their road routine, attracting guests at a young age, bolstering long-term loyalty, and building brand equity for Hilton as an innovator. Open concept. Ridding the clutter of decorations. Everything in the space is by design and serving a purpose. Imagine what a "bullet proof" space may look like. The furniture, walls, ceillings, all build to withstand a substantial amount of impact. No longer are the lobby and the exercise room seperate entities. Here, the entire hotel is one big training facility. This affords guest to comfortably gather together, move around, play, workout, stretch as they desire. Considering a variety of active retail partners either in the building, part of the building, next door. Hosting product launch promos. Products that will be consistently stocked will include: wraps, pre-wrap, icepacks, stem machines, icey-hot, compression bands, foam rollers, and ankle braces. Exploring new restaurant synergies to satisfy our primary consumer target. The rotating menu will always be avaliable weeks in advanced on the app. This allows Form to accomodate to the various needs and levels of their athletes. No more behind-the-counter engagement. We have renamed the employees at Form to “Hybrids.” They are experts in their respective fields, specifically assigned to assist you during your stay. Their experience and certifications will be relevant the atmosphere and values that we hold. Specific to guests’ needs at key moments of their stay. Specialty instead of constant availability. In order for athletes to be good at what they do they need to have plans and highly organized staff, catering to demanding schedules. A phone is all that’s needed to enter ones guest room. A data-driven approach to hospitality, enabled through the app ensures that every preference from one’s previous stay will be applied to future stays upon arrival. Changes can be made within 24 hours of arrival. The entire room has been thoughtfully designed to maximize the space and efficiency. 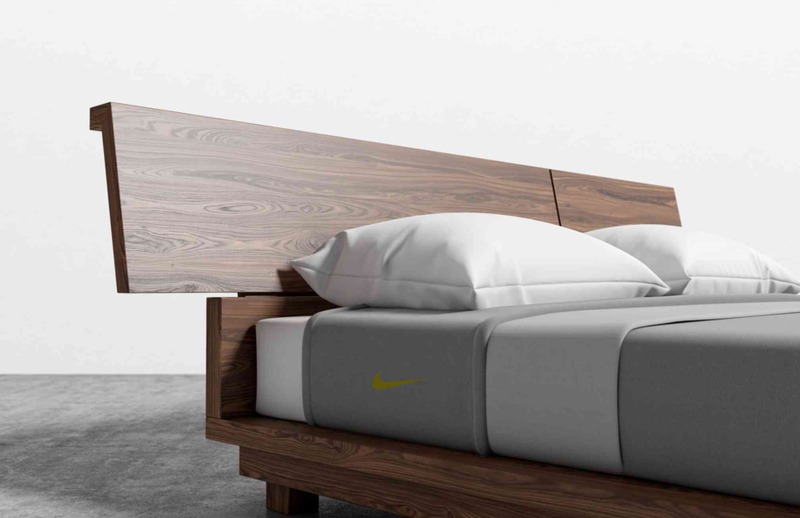 potential partnerships with brands like Nike could help create an environment better suited to the athlete through more tactile, analog experiences as well such as special bed linens or even extra socks (instead of toothbrushes) for the forgetful athlete. Everything from the furniture, the technology, the mattress, the lighting, the number of towels, the beverages, the bathroom layout and appliances, the size of the ice bins, the entertainment and the additional inventive features have all been intricately selected for our guest in mind. If there is one space that does not get much love it’s the hallways. But that is not the case at Form hotels. If you need to stride, sprint, skip, lunge, this is where to do it. 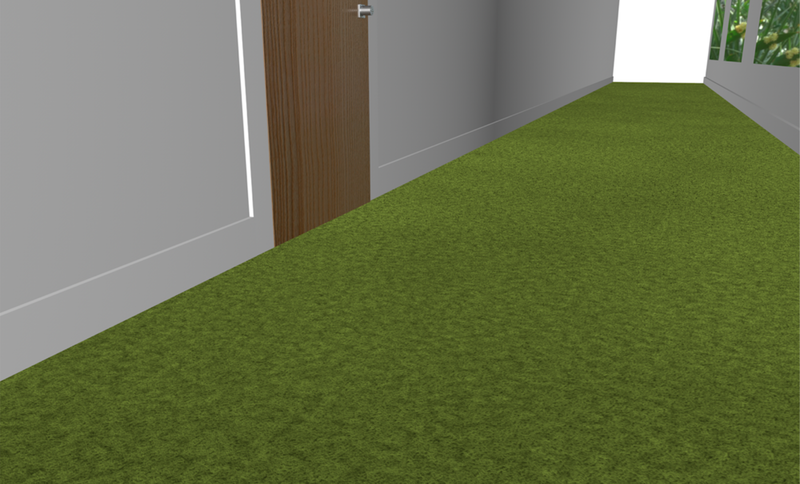 Each floor will vary in surface-turf, wood floor and rubber. Building more than a hotel brand. It's a home. A community. An experience. A lifestyle. Every aspect of Forms design was very intentional. Using clean lines, bold typography, pops of our vibrant yellow we hope to create a space that's friendly, energetic, and refreshing. Form means to bring together, to combine or create. Creating a community of travelers that never had a common place to stay while on the road. Human form. A standard of performance. An emphasis in physique, fitness, condition and/or health. Lastly structural form. Speaking to the space itself. Constructing, building, and putting pieces together.